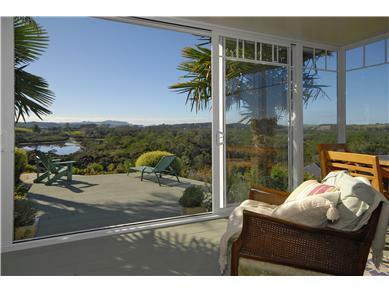 Stunning views of bird reserve & lakes. Peace, tranquility and seclusion. Yet only 10 minutes to Kerikeri town. 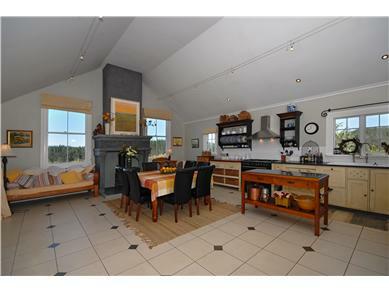 Luxuriously furnished Villa with superb vistas over bird reserve, series of lakes & forest with distant sea views. Set amongst 24 acres of grapes, olives & pines with lawns that flow down to the edge of the reserve, enjoy the peace and tranquility . Tastefully furnished to a high standard with all ammenities, including Birmark bath & modern kitchen. Decor includes significant paintings. 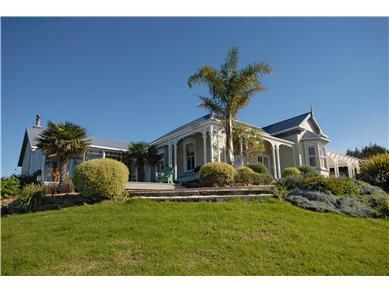 The standard price is NZD$ 450.00 per night. A 20% deposit is required to secure a booking for this property. A discount of 15.00% is available on bookings 7 night/s or over. There are currently no guest reviews for this property. 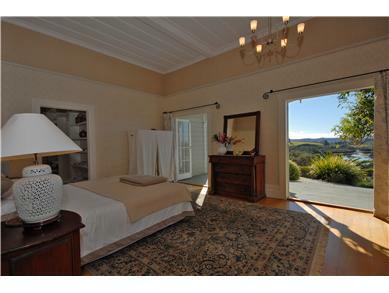 Unobstructed vistas of 2,300 hectares of bird reserve, forest and lakes with distant sea views. 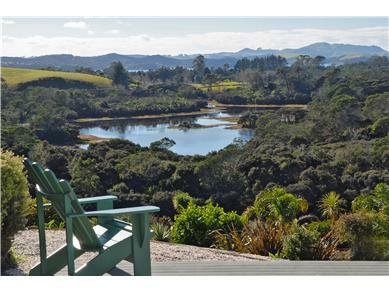 This country retreat offers total peace and quiet yet only 10 minutes from Kerikeri Town and within 20 minutes of the key attractions of the Bay of Islands. The master bedroom is large and sumptuously furnished with Super King bed, separate dressing room and large ensuite bathroom with Birmark bath, luxurious shower and toilet. 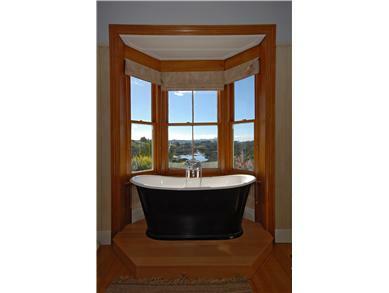 The bath enjoys lovely views. The two guest bedrooms are furnished with queen and two single beds with original paintings and pastel colours. There is a guest bathroom with bath, shower and toilet. 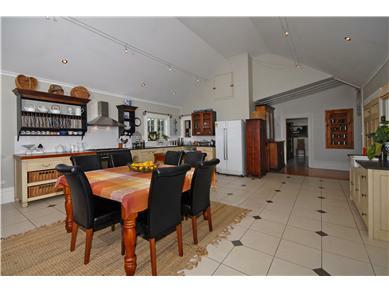 The Kitchen has a magnificent cathedral-like ceiling, seating for 8 persons, all mod cons including oven, dishwasher, fridge, pantry, freezer and wine cooler. The elegant and comfortable conservatory has a stunning vista of the lakes, bird reseve and forest with distant sea views. The spacious sitting room has original artwork and paintings, leather designer-furniture, wood burner and can accomodate 10 persons. 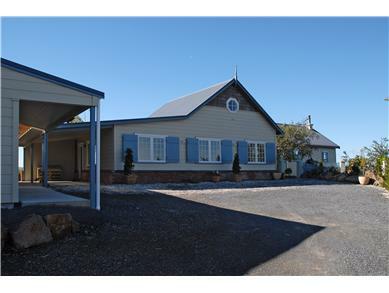 There is a two car garage, car port and shed with covered walkway to the study. There is a small, charming, artist's studio with a deck looking over a frog pond with lilies. This is a short distance from the main house. There is a compact laundry off the hall way, complete with washing machine and dryer. 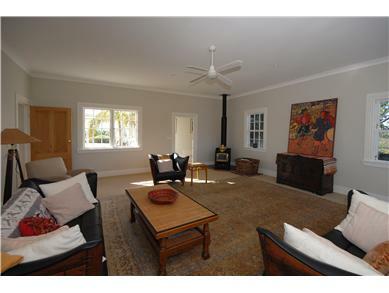 There is a small, private sitting room for the parents just off the master suite, complete with wine rack, display of historic cameras, textile wall-hanging and original paintings.